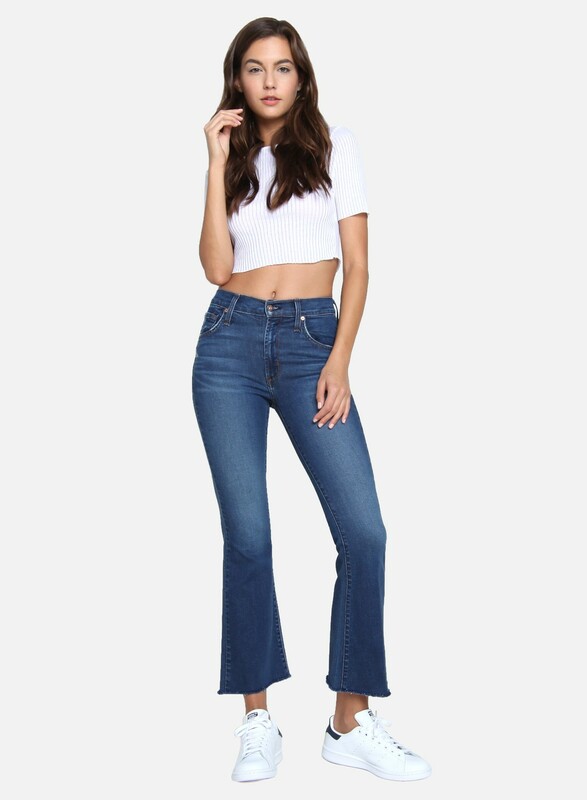 Channeling the iconic 90s look, our Kiki cropped flare is refreshed with an frayed hem. This lightweight denim hugs your body from hip to knee while whisker patterns and hand sanding deliver a naturally worn-in vibe. 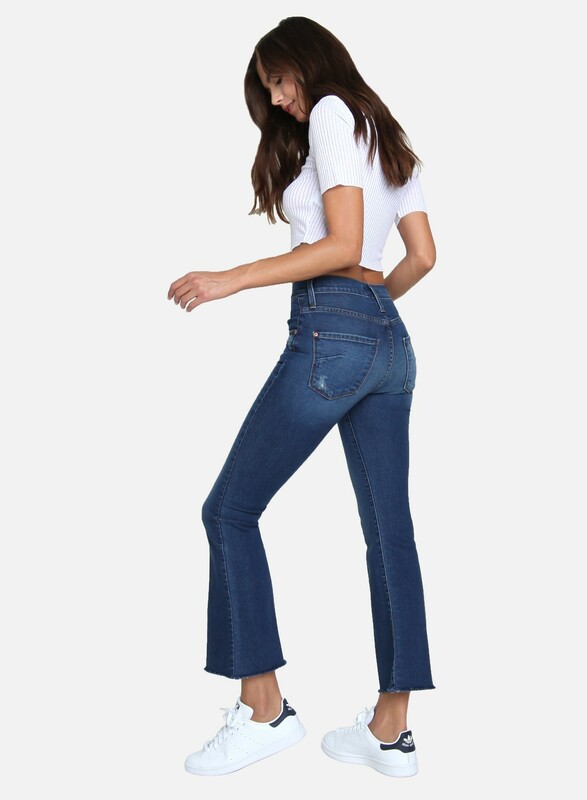 High Rise Frayed Hem Ankle Length Flare Channeling the iconic 90s look, our Kiki cropped flare is refreshed with an frayed hem. This lightweight denim hugs your body from hip to knee while whisker patterns and hand sanding deliver a naturally worn-in vibe.